At long last, the anticipated Adventures in Odyssey release of the year, Album 57, is officially available for digital download. 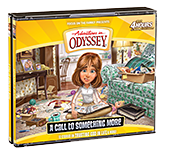 The download version, depending on where you purchase your copy, features twelve brand-new Adventures in Odyssey episodes, plus a digital booklet and bonus tracks. If you purchase your copy of A Call to Something More via the Focus on the Family Store (CBD), you get all twelve episodes, bonus audio clips, and a digital booklet. If you order from Amazon, the only thing missing is the digital booklet. However, your audio files are always in the Amazon cloud and can be accessed anytime or anywhere… and re-downloaded, too. As for the iTunes version, you get all the same awesome episodes and bonus audio, minus the digital booklet. Fortunately, regardless of where you purchase your copy of Album 57, you’re welcome to download all the bonus features from Focus on the Family for free here. You’re in for a real treat this time as unexpected surprises await in Album 57. 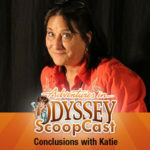 The hard copy of the album is expected for release in October, which will also include a bonus video sneak peek at the Odyssey Adventure Club, debuting down the road from our friends at Focus on the Family. Life is full of surprises—some that are welcome, some that aren’t. A trip in the Imagination Station is usually fun, but three generations from the Parker family are surprised to find that it can be life-changing, too. And who doesn’t love the circus, especially when it involves solving a mystery behind sabotage and betrayal? And Connie’s life is turned upside-down by an unexpected phone call, triggering major changes for everyone around her. In laughter or tears, you can count on the gang at Whit’s End to make life’s surprises fun, exciting, touching, and rich with lessons from God.